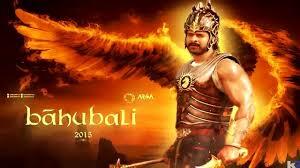 “Baahubali – the Beginning” (Bahubali), starring Prabhas and Rana Daggubati, continues its dream run at the worldwide box office even in its second week. After second weekend, “Baahubali – the Beginning” took its worldwide gross box office collection total to Rs 350 crore and now it is inching towards the Rs 450 crore mark. It is a movie that has put bollywood, which is often circled around Star Power, in thinking mode.